These are adorable hanging above a table from a light fixture. 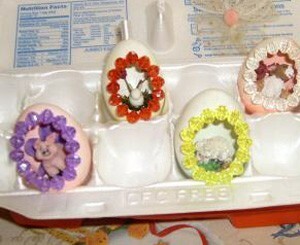 They are eggs with tiny scenes inside. 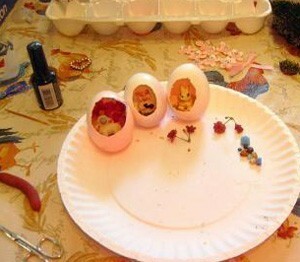 Using real jumbo eggs, make a hole in the side with cuticle scissors, and drain the egg and let it dry. Dye them and let dry. Place moss inside, and a cute figurine. Decorate the edges of the hole with faceted beads or a pearl string and add poms and pony beads to the top and bottom. 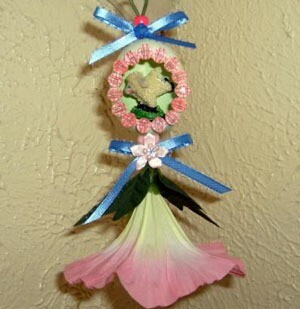 Add flowers bows and a hanger.